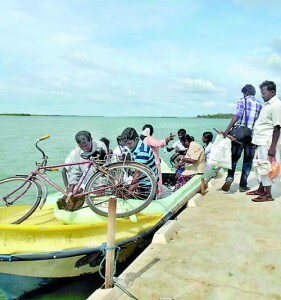 Teachers and students in Uchimunai, Kalpitiya have been facing hardship in travelling to school due to lack of transportation facilities. The school is situated in the isolated island or spit of Uchimunai which could be reached only by boat as there is only a sand route by land which is impassable at most times. Teachers have complained that they have to travel about 15 kilometres in fishing boats to get to the school due to lack of accommodation on the island. Some of them have to travel from Kurunegala and Wennappuwa areas. This primary school has classes from Grade 1 to Grade 5. Currently 100 students are on the roll with five teachers on the staff. At times when the teachers are unable to reach the school due to lack of transport they place their signatures in a book at the divisional educational office, Education Director Nuhur Lebbe said. He said, however the teachers are paid a monthly transport allowance of Rs. 2,500. 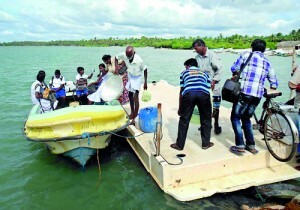 Kalpitiya Divisional Secretary Rangana Fernando said a boat was given under the Gama Neguma project in 2008, during the time of former Chief Minister Athula Wijesinghe. 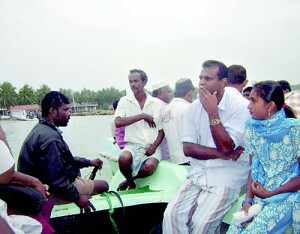 At that time the Samurdhi Authority made the transport arrangements and the villagers had donated a boat engine. 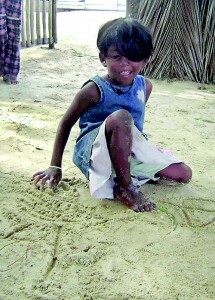 Ranjan Fernando, a member of the fishermen’s union says the children are the most affected. Teachers are requesting the Navy or the Divisional Secretariat to provide some relief.